Studio Soundproofing | Studio Noise Reduction | O'Neill Engineered Systems, Inc. 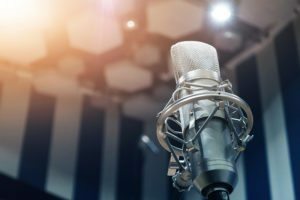 Whether for television, radio, music, or movie production, acoustic isolation for studios is critical to ensure high-quality sound production. Noise pollution from adjoining rooms, the outdoors, building HVAC, and other noise sources must be completely eliminated to produce clear, intended results free from ambient sound. We understand the critical importance of sound control for the arts and multimedia industries. Our seasoned sales engineers specialize in the acoustic treatment of recording studios, control rooms, and editing rooms. From on-site noise control assessments to complete turn-key sound control solutions, we have the technical expertise and capabilities to provide you with the studio noise reduction solutions needed to better your studio and its environment.